A few weeks ago Marisota asked me if I would like to style some clothes for the perfect event this Christmas. I love a nights out, shopping trips and visiting family and the best day of the year for me is Christmas day. I love to spend this day with all my beautiful family. Our eldest son home from university, the children all home together. Perfect. My favourite day of the whole year. All kids awake, all deny they woke up first, all deny they woke anyone else up. Ok then all up check Santa’s sherry drunk carrot for reindeer eaten. Living room door open squeals, shrieks, minutes of shaking Santa has been! !All corners of room taken up by one of our children’s presents. Quick breakfast washed down with tin of chocolates and mince pie. (not the whole tin). Phone up family, wish them a Happy Christmas. Hope they had a lie in, and have had a nice morning. Quick check all presents have been opened. Me and daughter get dressed up, nice dress the more sparkles the better. Glittery shoes or this year sandals on and a little bit of ruby red lipstick. Remember Turkey is not in oven, quickly dash to start it off. The Magi Sculpt value lace bodyshaper offers light control and non-padded cups for a smooth silhouette that’s comfortable enough to wear all day. All-round stretch lace with powermesh lining to front. Cotton-lined gusset with easy popper fastening. Medium leg coverage. 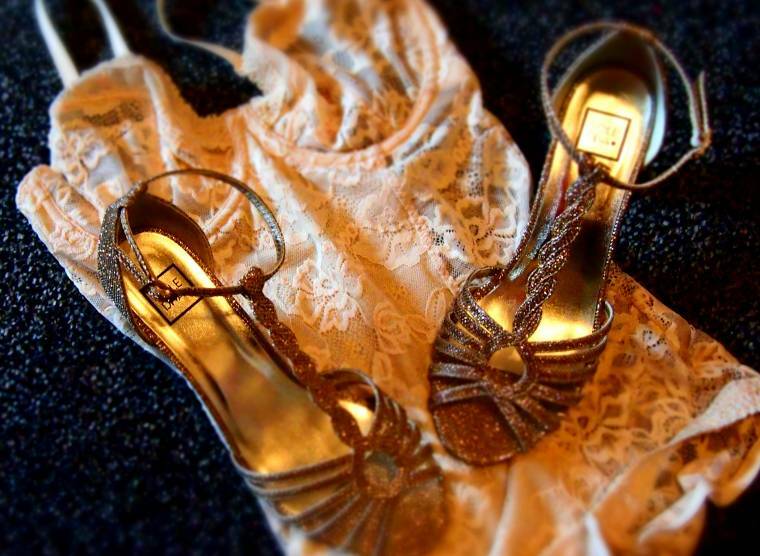 Add a little panache to your evening wear with this glitzy T-bar sandal by Sole Diva. The style is complete with wearable heel and buckle-fastening ankle strap. Magisculpt dress with lace and satin trim and short sleeves makes for the perfect day-to-night dress. This dress contains our Magisculpt control tube that extends from under the bust seam to the lower thigh. Hem of sculpting tube has a non-slip edge so it won’t ride up when wearing. 60% Polyester, 34% Viscose, 5% Elastane, 1% Lurex. Trim: Polyester. Lining: 83% Polyamide, 17% Elastane. This outfit will be just perfect for Christmas day, party and shopping. I have also been having fun mix and matching these clothes up with other items too, the sandals look fabulous dressing down with jeans..
"Never To Old For A Mickey Mouse T-shirt!!" You look SO pretty in that outfit lady! 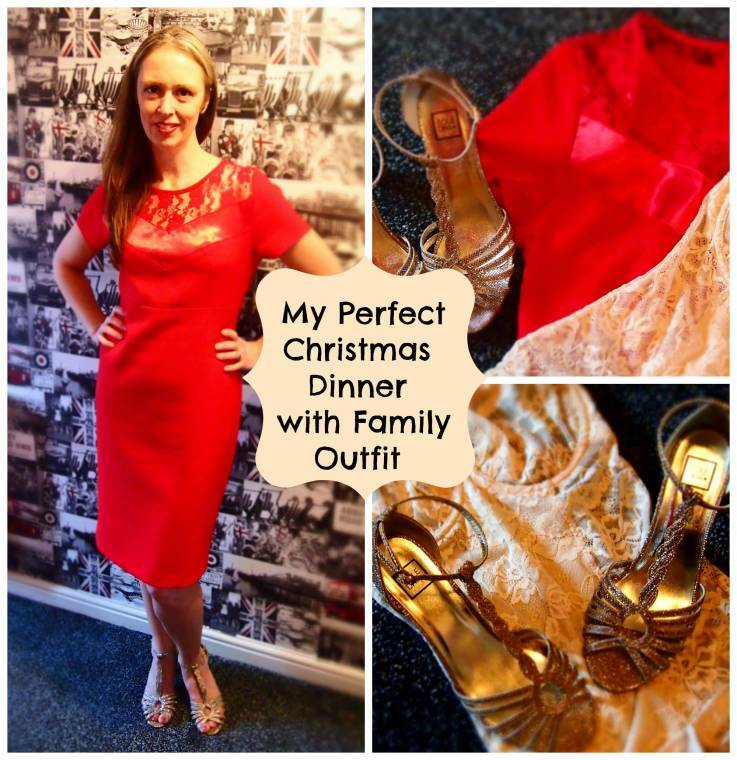 What a great dress for the festive season! Perfect holiday outfit! 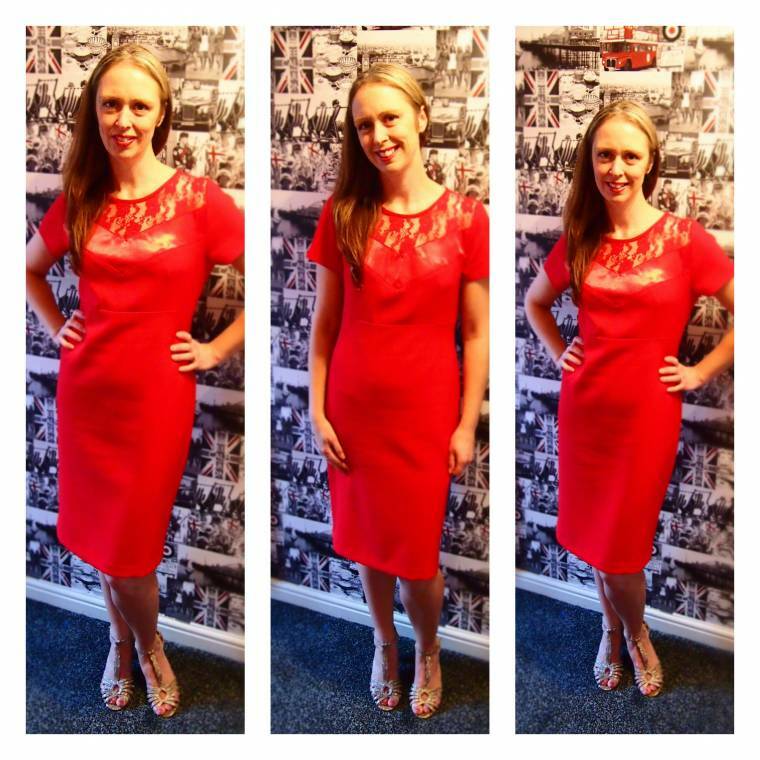 You are rocking that red lace dress! It IS perfect! You look beautiful! Wonderful designs, I love that red dress! Such a perfect Christmas outfit! 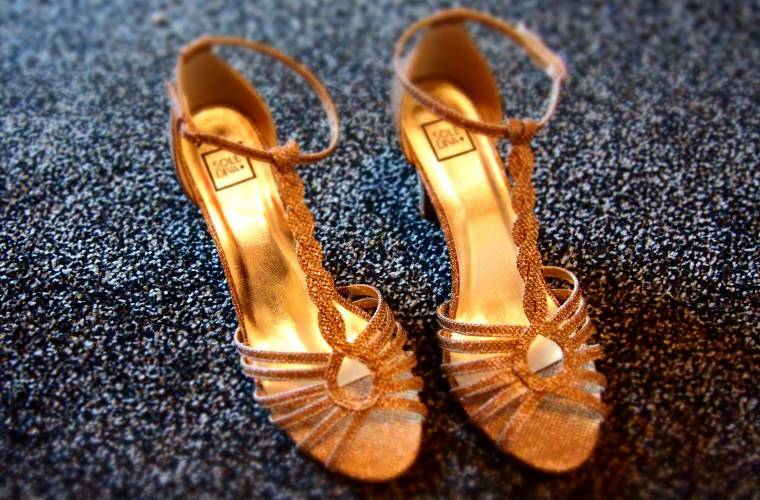 Love the glam shoes! Not only is your red dress and crystal stilettos gorgeous, but they also look terrific on you. This is the best and most glamorous I have ever seen you look. This outfit would be perfect for New Year's Eve. You look WOW! !